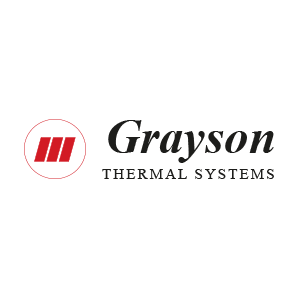 At Grayson Thermal Systems we are looking forward to a great 2019. 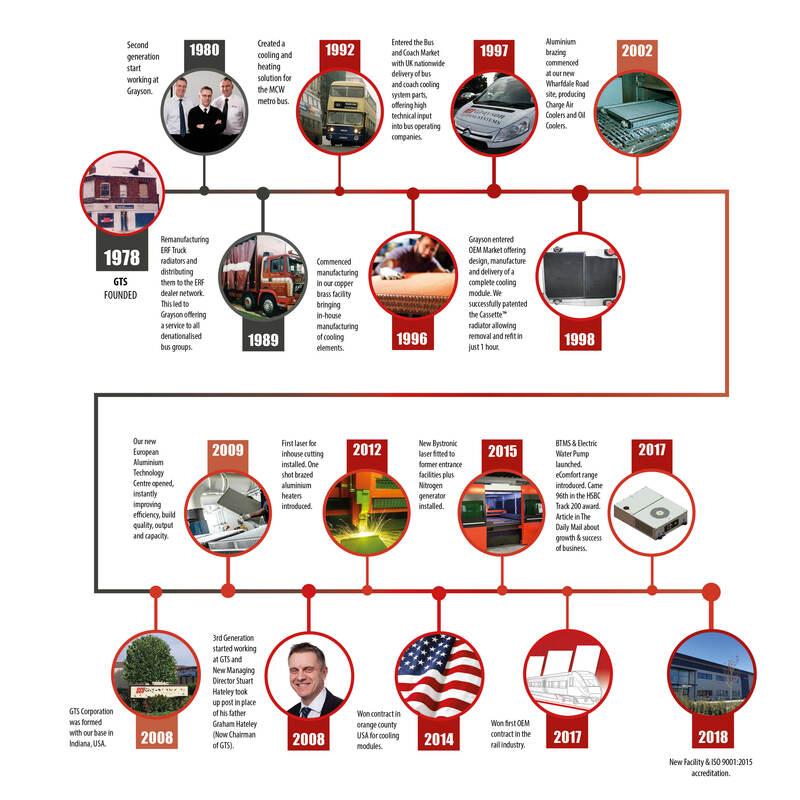 The Grayson story has come a long way since 1978 when chairman, Graham Hateley, opened a radiator repair business from a small unit in Hay Mills, Birmingham. Previous to this, Graham worked in another family business with his father, which was formed in 1923. 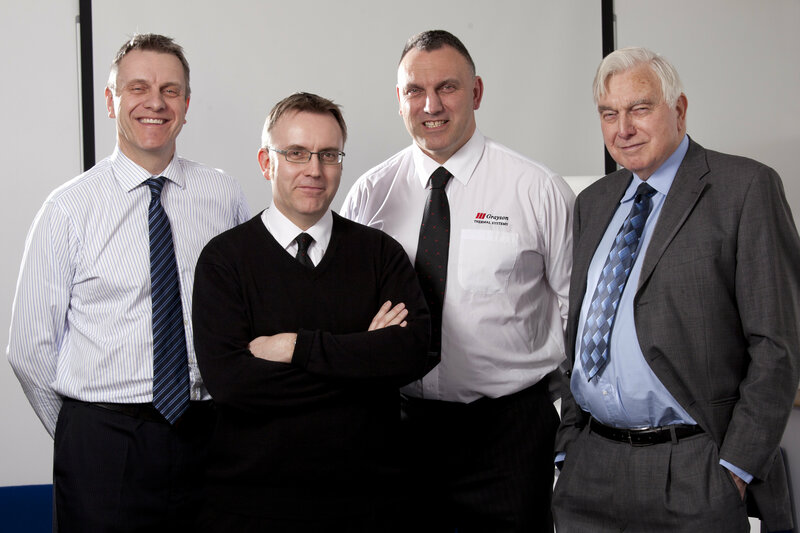 Pictured above are our Grayson directors and Chairman. From right to left:Stuart Hateley, James Hateley, Ian Hateley and Graham Hateley. This business during WWII made radiators for a number of military applications. This included trucks and the world renowned Spitfire aircraft which was also made in Birmingham. Grayson now has two extensive manufacturing facilities, dedicated engineering, research and test operations. Also a new separate Grayson service centre which opened in 2018. 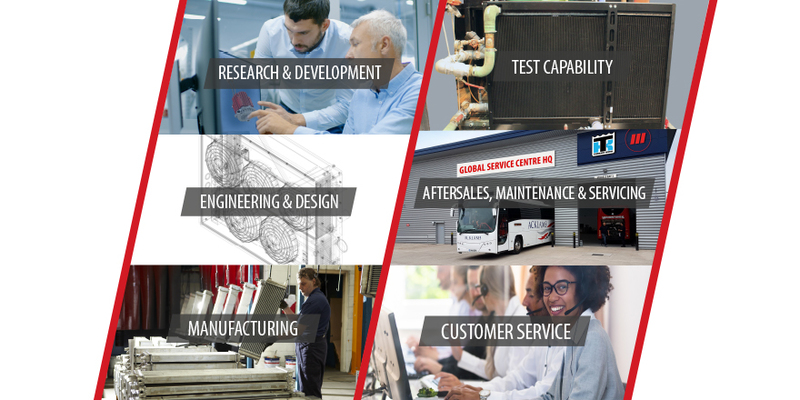 From the heart of England, we serve customers in Britain and right around the globe. This includes China, the USA, Canada, Eastern and Central Europe and New Zealand. We have opened Grayson North America and plan a further programme of satellite businesses across the world. Our product range has expanded vastly over our years of business growth. 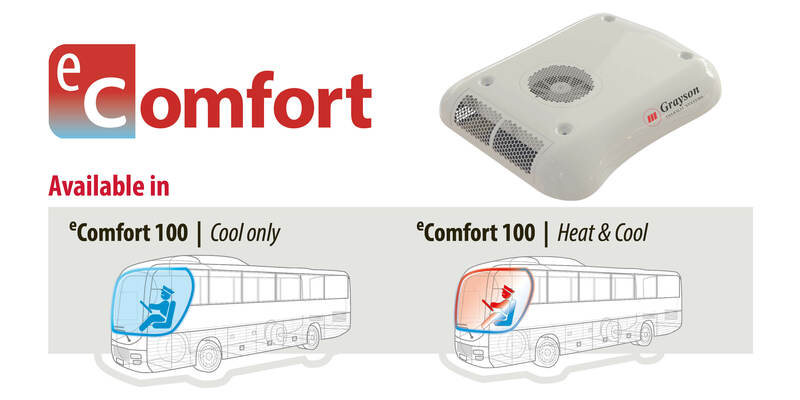 From repairing radiators to designing our innovative and renowned E-Drive (Electric Cooling System), BTMS (Battery Thermal Management System) and our latest product, eComfort. At Grayson we strive to stay ahead with technological advancements. We will continue to innovate new products for an exciting future in the automotive industry including the electric vehicle revolution and new E-Mobility products. 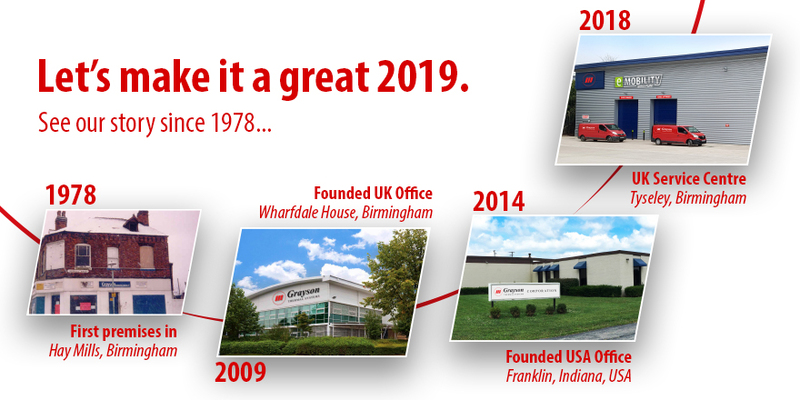 See the time line of our Grayson story below starting from our foundation in 1978 to the opening of our latest facility in 2018. We look forward to seeing what 2019 will bring.